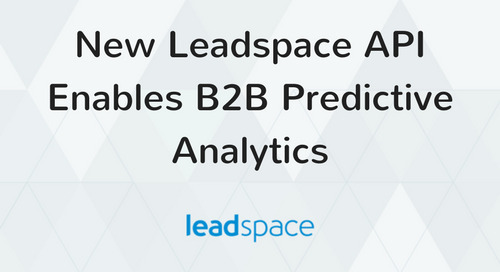 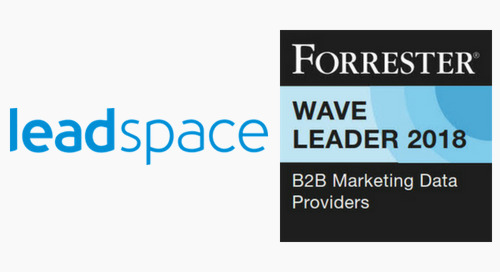 PRWEB -- SAN FRANCISCO, CA, September 26, 2017 -- Leadspace, the first Audience Management Platform for B2B marketers, announced today its latest turnkey integration with Microsoft Dynamics 365, bringing the next generation of B2B analytics and data management to 20,000 Microsoft customers. 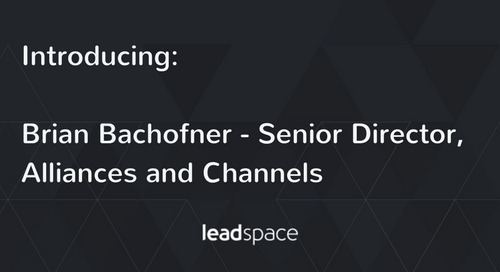 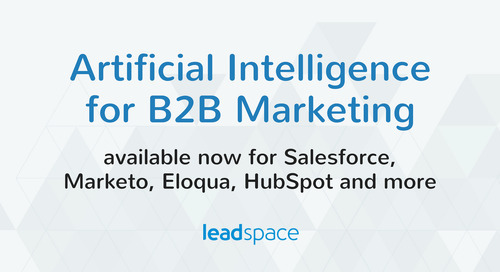 Microsoft Dynamics customers can now benefit from Leadspace’s unique, AI-powered B2B Audience Management Platform, which is already integrated with other leading CRMs including Salesforce; as well as with leading Marketing Automation Platforms including Marketo, Eloqua and HubSpot. 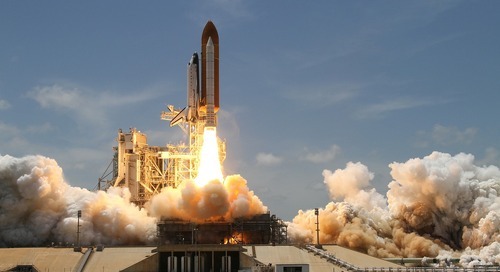 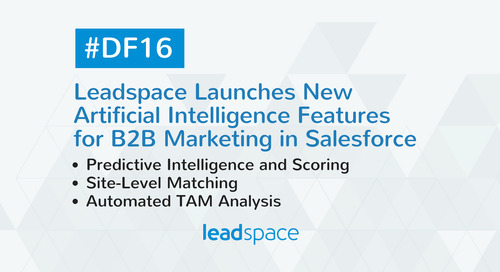 With this development, Microsoft Dynamics customers can tap into Leadspace’s comprehensive marketing and sales data coverage and advanced Artificial Intelligence capabilities. 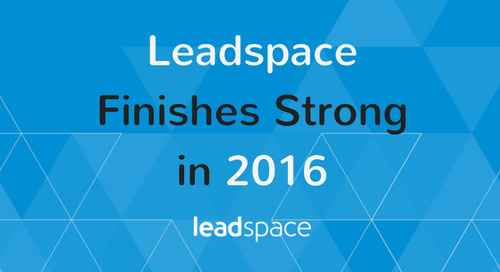 Leading Microsoft Dynamics customers already using Leadspace have reported significant increases in customer engagement, including up to 100% increases in clickthrough rates and 33% increases in open rates for email marketing campaigns. 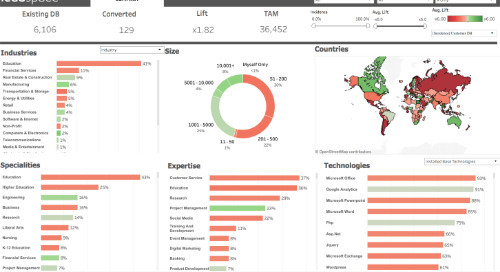 This new turnkey integration makes opportunities like this available for thousands more marketers who use Microsoft Dynamics 365. 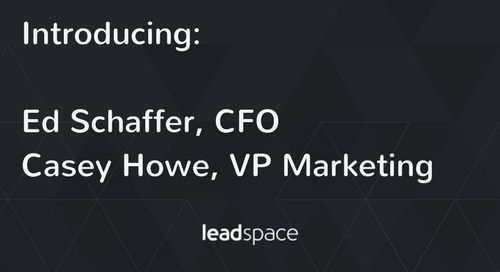 Leadspace provides marketers with a highly detailed, immediately actionable profile of their audiences, by combining users’ first-party data with more than 40 third-party data sources -- including individual, company and intent data -- as well as sourcing unstructured data from the social and open web. 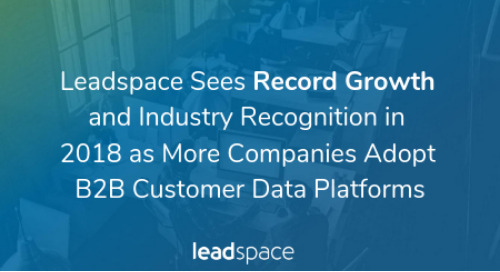 These immense data resources enable Leadspace to provide unparalleled, detailed, real time insights into every customer and prospect -- including more than 100 datasets per lead. 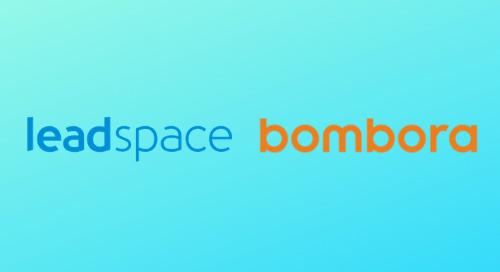 “This partnership with Leadspace further empowers our users to connect with their customers by using their data more intelligently,” said Param Kahlon, General Manager at Microsoft Dynamics. 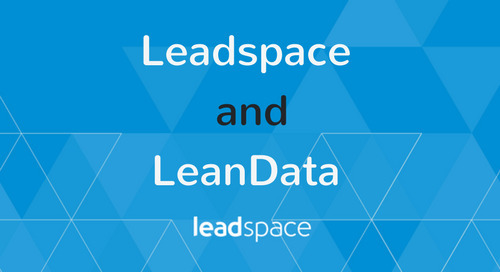 Using Leadspace, Microsoft Dynamics customers can now automate the challenging process of data management and data hygiene via on-demand lead enrichment, including immediate enrichment and routing of inbound leads and full data cleansing for existing sales and marketing databases. 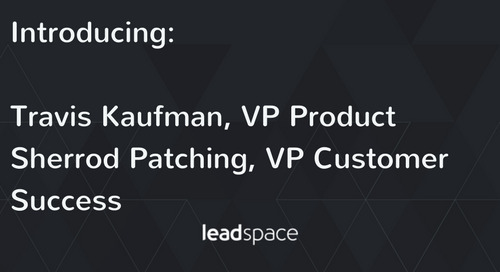 Leadspace’s real time Audience Data Management capability ensures databases stay constantly fresh, by tracking lead data and triggering an immediate re-enrichment process when changes occur. 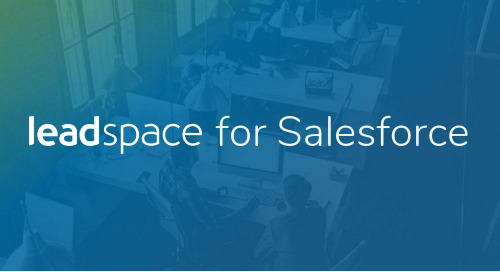 This enables Marketing and Sales to stay on top of their data, identify when people change roles and companies, and engage effectively with their customers and prospects at every stage of the buying process. 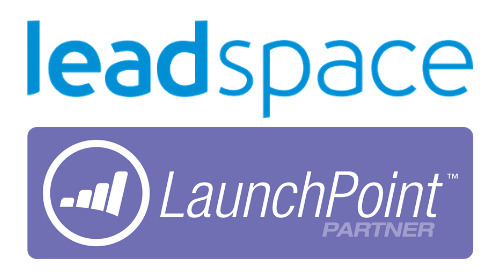 Microsoft Dynamics customers can also use Leadspace Audience Discovery to find valuable new opportunities and access their Total Available Market; and apply Leadspace Audience Modeling to know which leads and accounts to prioritize, by using AI to accurately predict who their most valuable customers and prospects will be. 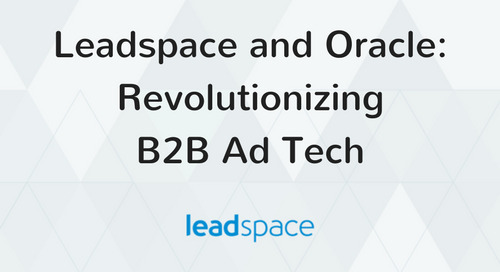 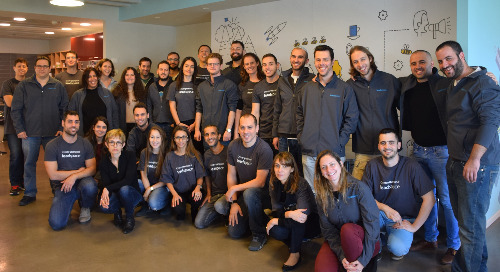 “Marketing and Sales teams see tremendous results when they are able to incorporate and wield data and AI together effectively,” said Travis Kaufman, VP Product and Partnerships at Leadspace. 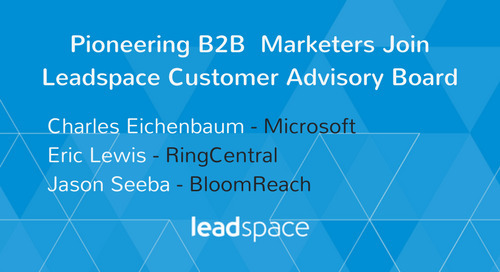 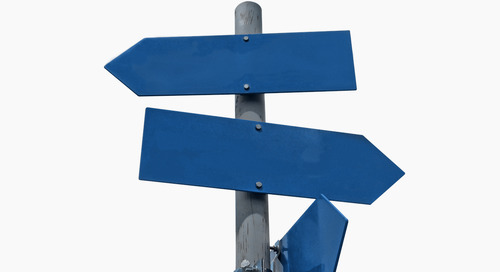 “One of the obstacles that holds many organizations back is the lack of cohesive customer data. 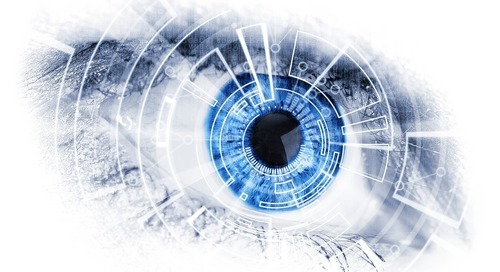 This limits the effectiveness of any AI initiative resulting in operational inefficiencies and even worse, an inferior customer experience.